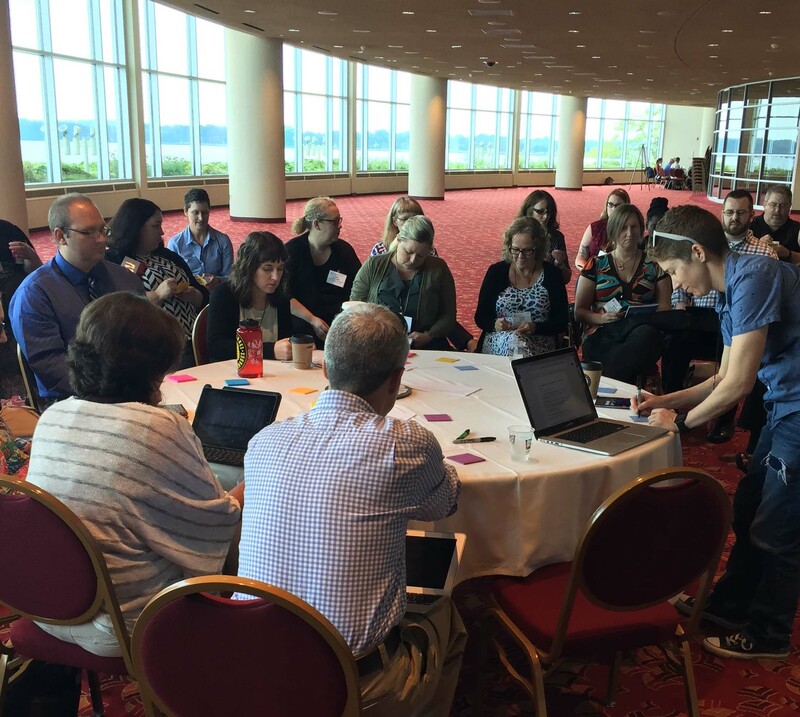 In this post, I’ll share what my colleague Moses Wolfenstein and I learned about instructional designers’ fears during a group discussion at the 2016 Distance Teaching and Learning Conference (DTLC) in Madison, Wisconsin. I’ll also share a handout with some strategies for conquering fear in design. Conference participants write down their fears during “The Dark Side of Instructional Design” discussion at DTLC. Moses and I came up with the idea of leading a discussion about fear and design after reminiscing about various projects we had worked on. Many times, some kind of fear or anxiety got in the way of the project’s success. We searched briefly and did not find anything that specifically addressed fear in instructional design. After that, we decided that we wanted to hear from other designers about their experiences. This led to a discussion about “The Dark Side of Instructional Design” at the conference in August. What Do Instructional Designers Fear? We had over 30 instructional designers and other learning professionals participate in our discussion. 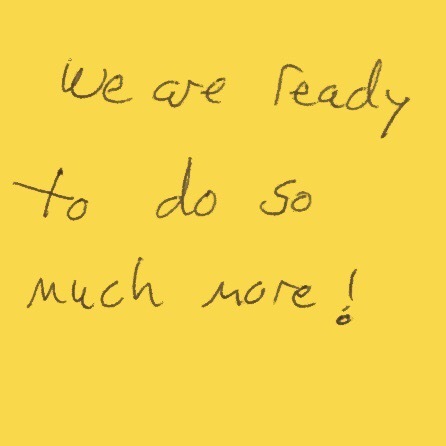 We started out with a Post-It activity where participants wrote down any fears that came to mind. They wrote down anything that causes them stress, anxiety, or fear in their role. In the graphic below, you can see the categories that specific fears fell into. 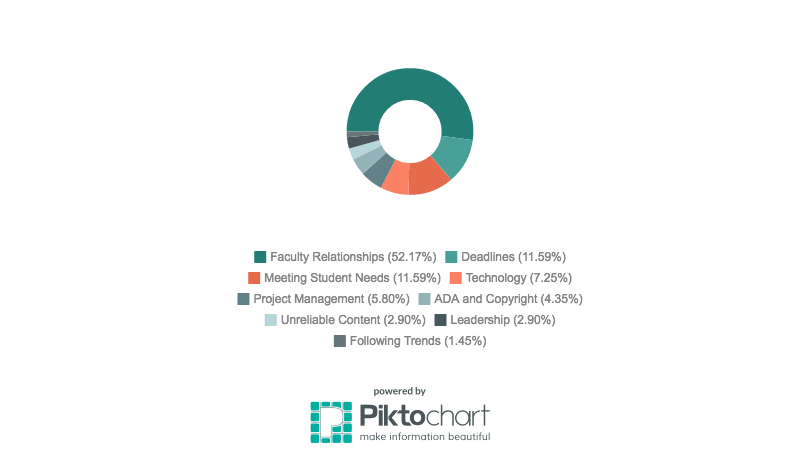 The majority of fears we collected related to faculty relationships. This also aligns with the 2016 Report “Instructional Design in Education” in which working with faculty was cited as the number-one barrier to success based on a survey of 853 people (780 of whom work in higher education and instructional design). 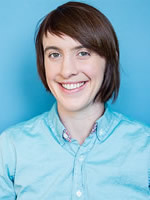 Fears related to faculty relationships included concerns about mismatched expectations, attitudes about teaching online, and difficulty communicating. Looming deadlines was the second-highest fear. It’s worth mentioning that faculty relationships and getting content late from faculty are intertwined. However, this fear was mentioned enough that I broke it out into its own category. The next most common fears were related to students. Student-related fears included designing a course that didn’t help achieve the learning outcomes, students not enjoying the course, and students blaming the ID in a poor evaluation. Technology was also mentioned as a source of fear and anxiety. 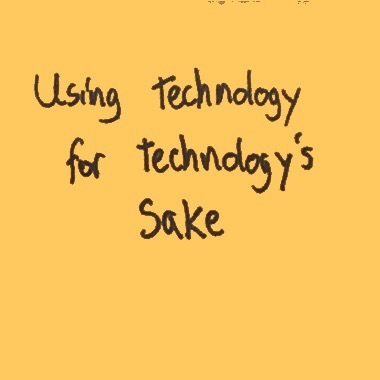 For example, one designer expressed a fear of using technology in a way that isn’t conducive to learning. Finally, participants expressed a handful of other fears related to project management, such as scope creep. There were also fears about ADA, copyright, unreliable content that was factually inaccurate, and anxiety about keeping up with trends in higher education. After the Post-It activity, we opened up the floor to discussion. 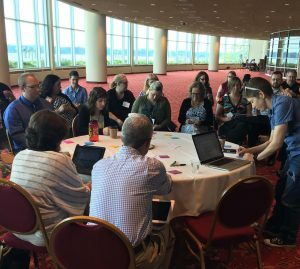 The topic of faculty relationships dominated the discussion, another indicator of how important working well with faculty is to instructional designers. In preparation for the session, Moses and I brainstormed common fears that we encounter in the design process and then put together a handout with our suggestions mitigating those fears. To see what we came up with, download the handout on fears and strategies here. After just scratching the surface of fear and design, we’d like to explore the faculty side of things. What do our faculty feel? Do faculty have similar fears related to working with instructional designers? How can we as designers improve our relationship with faculty? Why is this my favorite note? I like the enthusiasm it conveys. It reminds me of the productive and successful collaborations that have fueled my best work. It reminds me that sometimes we really can design the best course possible, while other times our intentions outpace what we’re actually able to do—but we still do the best we can with what we have. It reminds me of my practical design approach: we’re always ready to do as much as we possibly can to design the best courses possible within our design constraints. That said, I can speak to productive and successful collaborations which have been a part of my work over the years, some which continued to live on long after I departed. Those are the projects where lightning was truly captured in the bottle. Thanks for your comment – It does seem like these are timeless problems that come with working together in ambiguous situations with other human beings. What do you think made your “lightning in a bottle” collaborations work more than others? Did these collaborations share any conditions or characteristics that you can identify? From your 20 years of experience, do you have anything you’d say to a new designer on how to get the most out of your collaborations?